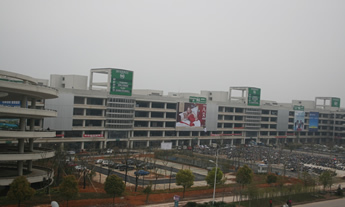 District 5 of Yiwu International Commodity City is now under busy decoration. According to the plan, the decoration time of the booths will be finished on April, 2011, the time of trial businesses is on 18th April, official openning time is not sure yet. District 5 covers an area of 266.2 acre. Building area is 64 million aquare meters, with a total investment of 1.42 billion CNY. It has 5 floors above ground and 2 floors underground, more than 7,000 boothes inside. 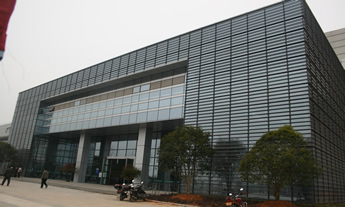 The main business scope are imported products, bedding, textiles, knitting raw materials, auto products and accessories. Market 5 absorbs the latest concepts of large international business center, equipped with advanced electronic commerce system, logistics distribution system, short barge financial service system, date center, large packing lot and so on. It is an integration of shopping, tourism, leisure.